Kristi Hines is a freelance writer, ghostwriter, and copywriter who develops high-quality content for businesses that want to educate their audiences about business and marketing. She also teaches content creators how to drive traffic and engagement to their content in her course, the Content Promotion Plan. You can follow her latest tweets @kikolani. Are you ready to perform the research to determine the most successful content on specific topics? If so, there are tools that can help. 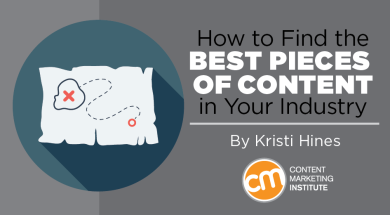 We’re going to look at the metrics you will want to use and tools that will help you get them quickly to find the best pieces of content in your industry. Buzz metrics – The easiest to find, they are the social-sharing metrics of a piece of content. Impact metrics – These are a little harder to find, but tell how well the content is performing beyond social shares.